KSRealityBites: Women after 35, prone to fertility problems! Women after 35, prone to fertility problems! 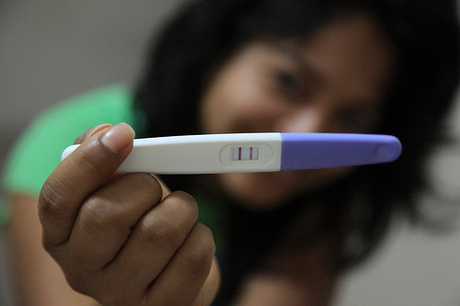 Women health is very important in terms of their personal problems dealing with fertility. A recent research study claims that women trying for a baby after 35 years of age are more likely to face problem in conceive as they develop complications in fertility. According to researchers from the Royal College of Obstetricians & Gynaecologists, women after 35 used to 've miscarriage more than their 25s due to lack of fertility. Most probable cases are found in mothers in their late 30s to 40s & most of them develop complications like pre-eclampsia, ectopic pregnancy & miscarriage or stillbirth. Researchers said that as infertility develops in late 30s, not only women face problems but also babies born to them during those periods are more likely to be premature or suffer from genetic disorder. Similarly, age also puts an adverse impact on men & fertility also declines rapidly in 25s. Experts says that men in 40s used to take two years of time for making the partner mother & 30% women of 35 take one year to get pregnant. These days people freeze themselves waiting for Mr./Ms. Right & the problem starts in the course of time. Researchers said that there is a tendency of today's generation people to enjoy life avoiding pregnancy that increases the risk of fertility. Doctors suggest that women should bear child during their 20 to 35 of age. If you really like this post, please don't forget to promote!